Mid-Atlantic Podiatry Associates (MAPA) offers an experienced team of podiatrists with unique skills and areas of special interest enabling us to handle all your foot care needs. Our podiatrists are actively involved in continuing educational programs, foot care conferences, and hospital medical staff educational programs. This keeps us current on new podiatry procedures and technology, allowing us to provide our patients with quality foot care services. Our commitment to the field of foot care continues with MAPA’s involvement in the podiatrist residency program at the Washington Hospital Center. 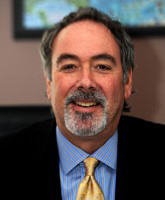 Dr. Kominsky is the founder and director of WHC’s surgical podiatry training program. The residency program allows our podiatrists to interact with other area podiatrists and residents in a training environment which teaches the latest techniques in foot reconsruction and limb salvage. Stephen J. Kominsky, D.P.M., F.A.C.F.A.S. Dr. Kominsky received his doctorate from the Temple University School of Podiatric Medicine in 1982. His undergraduate Bachelor’s Degree in biology was granted from the University of Maryland in College Park. Following graduation, his surgical training was at the Hayward Vesper Hospital in Hayward, CA, where he specialized in reconstructive foot and ankle surgery along with special emphasis on complications from diabetes. Dr. Kominsky moved his practice to Washington in 1983. Dr. Kominsky’s academic appointments include the Department of Orthopedic Surgery and the Division of Endocrinology at George Washington University Hospital, and the Department of Surgery at the Temple University College of Podiatric Medicine in Philadelphia, PA. He is a Diplomats member of the American Board of Podiatric Surgery and Certified in Foot and Ankle Surgery, as well as a Fellow in the American College of Foot and Ankle Surgery. During his professional career, Dr. Kominsky has lectured on topics specifically related to foot and ankle surgery and diabetic toot care at over one hundred medical conferences around the world. He has authored numerous professional papers and articles, and has had the opportunity to edit and contribute to several podiatric textbooks.